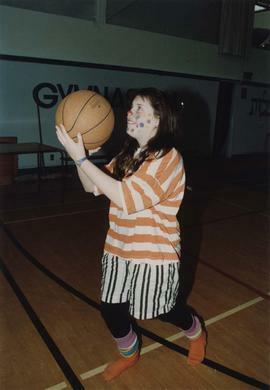 Photograph depicts a girl in costume with a basketball. Photograph depicts two unidentified men in a gym. 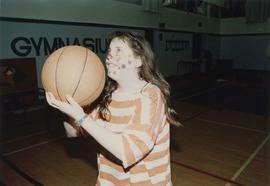 One man is taking notes while the other holds a basketball. Photograph under copyright; please consult archives for permission to reproduce.